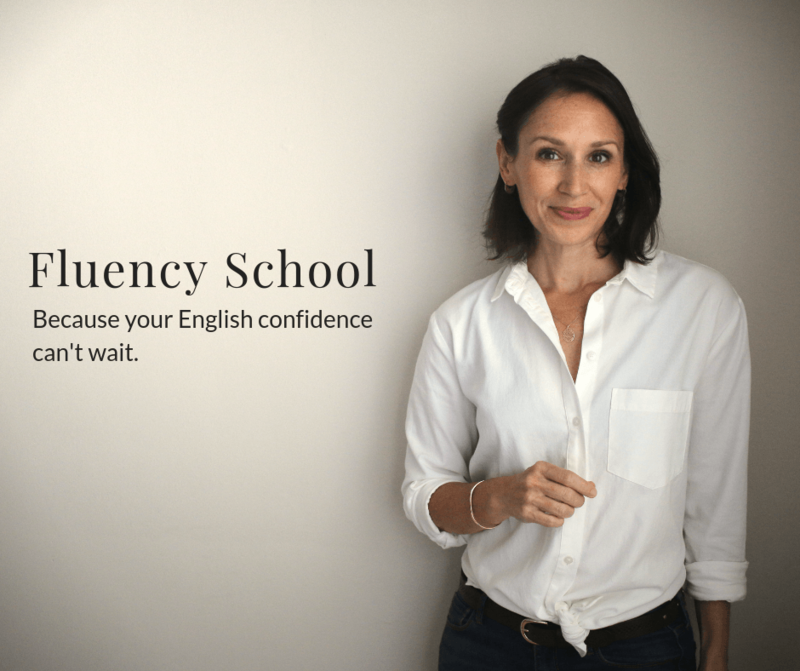 Hi, I’m Annemarie with Speak Confident English, and if your goal is to be more fluent and confident, so that you can do what you want in English, then you are in the right place. Today’s Confident English lesson, we are focused on the Telephone In English. I know that you want your communication in English to be easy and successful. The telephone can be challenging, because we can’t see the other person. We don’t have the body language or the facial expressions to help us understand what is being said. We only have our voice, or the ability to understand another person. Today we’re going to talk about how you can make telephone conversations in English easier and more successful. In the online lesson today, I’ve given you nine of the most useful tips that you need to know about to have easy and successful conversations in English on the telephone, but in this video, we’re going to talk about two activities that you can do on your own anytime, so that you can be better prepared and speak more clearly when you’re using English on the telephone, and a common mistake that you can avoid. Let’s talk about how you use the telephone in English. Maybe you only use it to make restaurant reservations, or to call a hotel when you’re traveling, but maybe you use it every day. You talk to clients about their account information or provide updates. Maybe you have to handle customer complaints or you talk to a coworker who lives in another country. In each of these situations, there is one thing that you can that takes just a few minutes of your time, but if you do it, it will help you be prepared. It will help you to feel confident about what you’re going to say. It will help you make sure you don’t forget any important details, and then when you’re finished, you can breathe a sigh of relief, because you were successful in your telephone communication. That one activity is to write down what you’re going to say. It takes just a few minutes to write down some of the keywords or details that you want to remember and say correctly in English, or you can write whole sentences and expressions to help you. If you’ve never made a reservation at a restaurant by telephone, write down what you want to say. Write down, “I’d like to reserve a table for four at 8 p.m.” Then write down the date, all of the information you need, so you can have it in front of you while you’re on the phone, and you won’t forget what you want to say. The same thing is true. If you’re going to talk to a coworker about a coming meeting or an appointment that you have, and you need to give some key details. Take just a few minutes to write those things down in English, with the keywords that you want to use, and you will be more prepared and more successful on the telephone. Let’s say that you’ve that. You’ve written down everything that you want to say. You’ve even practiced saying the words or the sentences that you want to use a few times, but you’re still feeling really nervous. You’re not sure if the other person will understand you. You don’t know how you sound on the telephone, and maybe, maybe, you’re like me, and when you get nervous, you start to speak very quietly, and you speak down, and it’s really hard to understand you. Could you hear what I was saying? Probably not. If you are like me, when I get nervous, I lower my voice. I start to speak more quietly. The problem with that is it’s impossible to hear you. It’s very hard to understand. This is a common issue on the telephone when we’re speaking in a second language, but you can overcome that to help you be prepared. To help you know how you sound on the telephone, and how you sound when you speak English. To help you improve your pronunciation. To help you practice using different grammar and vocabulary. I have one simple activity. Again, it only takes a few minutes. It might feel silly the first time you do it. It might sound scary, but you’re the only one that is going to hear this. I recommend that you take your phone or your computer and you record yourself practicing what you want to say. Even if it’s something simple like making a reservation at a hotel. Take a few minutes with your notes that you have that you wrote down, and record what you want to say, and then listen to yourself. Find out how you sound on the telephone. Are you speaking clearly? Are you lowering your voice because you’re nervous? If you are, then practice speaking a little bit louder. Listen to your pronunciation. Is there anything you want to change? Are there any words that you want to change or a sentence that you’d like to say differently? Listening to yourself and recording gives you the opportunity to change all of those things, and perfect what you want to say, and perfect how you sound on the telephone. It takes just a couple of minutes, but it will change how you communicate on the telephone. Now you have two simple activities that take very little time, but will help you improve, so that your telephone communication is easy and successful in English. Finally, let’s look at a common mistake that I often hear, so that you can avoid it, and be clear when you communicate in English. For many of us, social media has replaced the telephone. We use social media, such as Facebook, texting, chatting, Instagram, even email still, to talk with family and friends, but in our personal lives, and especially at work, we do still use the telephone when we need to schedule an appointment, make a reservation, or talk about an upcoming event. When we do that, we’re talking about dates. One of the most common mistakes that I hear, and a mistake that can be very confusing, is how we say the year and the day when we’re giving a date in English. Let’s look at how you can practice and correct any mistakes that you might be making when you’re talking about dates on the telephone in English. Start with how we express the day when we’re talking about a date in English. As you know, we have our numbers, one, two, three, four, five, six, seven, but we also have cardinal numbers in English. First, second, third, fourth, fifth, sixth. When we express the day in a date in English, we use those cardinal numbers. Now I know you might be thinking, “No, I don’t want to learn another list of numbers,” but the good news is, you only have to learn thirty-one of them, because the longest months have thirty-one days, so let’s look at a couple of examples. Today is November Second or the Second of November. Halloween is on October Thirty-First or the Thirty-First of October. On November Twenty-Fourth, Americans will celebrate their holiday Thanksgiving, so when you express the date in English, make sure that your day is using the cardinal number. Again, you only have to learn the first thirty-one of those cardinal numbers. Now you have two very simple activities that you can start using today. They won’t take a lot of your time, but they will help you be prepared, and help you be more confident, so that you can have easy and successful conversations on the telephone, and you’ve learned how to avoid a very common, and often confusing mistake when communicating dates in English. Make sure that you visit the online lesson, where I’ve given you nine of the most useful tips that you need for the telephone, and when you do. 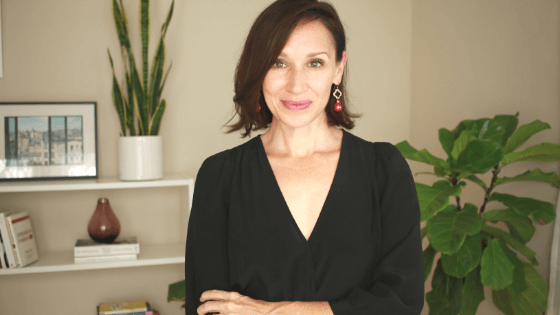 I have some special questions for you at the end of the lesson, so make sure that you check out those questions, and leave your comments in the Comments section. Thank you so much for joining me. I love having you here every Confident English Wednesday, and I will see you next week.